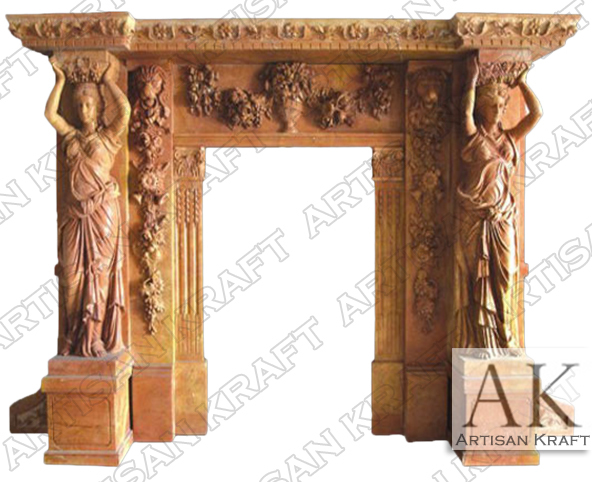 The Statue Marble Fireplace has to female figures flanking the sides of the fire box opening. This is a hand carved product. Two colors that are polar opposites and contrast each other perfectly is another way to have this design made. The statues hold up the mantel shelf of the ornate surround. Typical Dimensions: 86″ wide x 60″ high *can be made to custom dimensions.